"The support I have received from the Cash Encounters management team has been second to none." Following the proven Cash Encounters business model, your exclusive territory will join our ever-growing franchise network of stores, which specialise in buying and selling quality pre-used goods. You will receive training and support in all aspects of the business so your Cash Encounters franchise operates at its maximum profitability while keeping your overheads to a minimum. 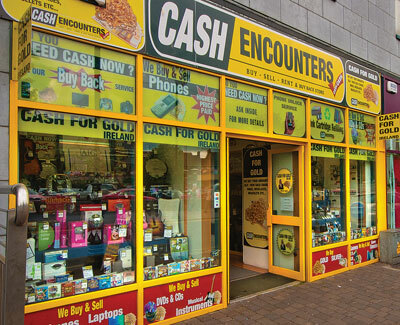 The Cash Encounters franchise package includes store fit-out, use of our EPOS system, digital CCTV, computer and barcode scanner and launch day stock. Cash Encounters is seeking ambitious self-motivated individuals who enjoy meeting people, possess good attention to detail and are – above all – passionate about delivering excellent customer service to join our network. No technical skills are required, and previous experience in retail is not necessary—you simply have to follow a proven, winning formula.